The Canon 5DS R comes with highest-resolution EOS body to date. 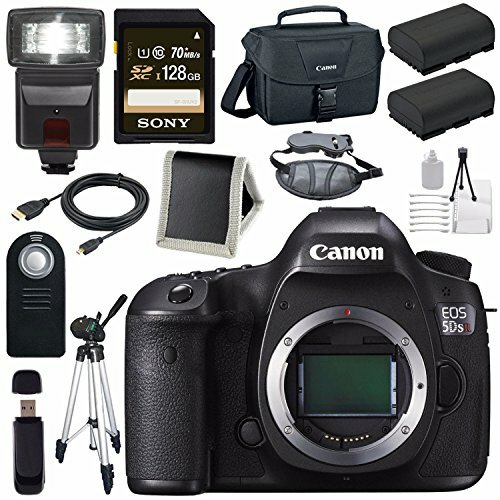 This advanced level DSLR is an all-around striking camera that captures impressive and incredibly detailed images. The higher resolution sensor makes shooting technique more crucial. Its video features an ISO range are limited compared to other full-frame cameras. 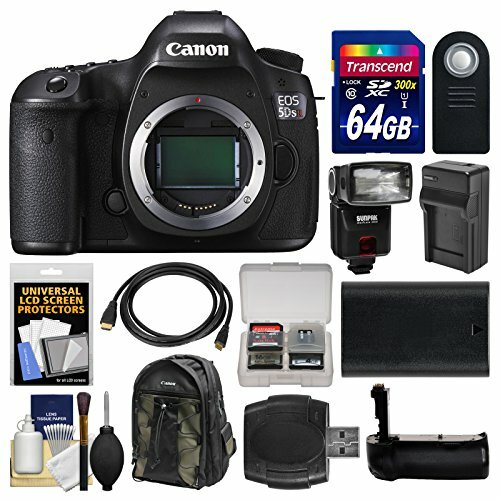 This DSLR is a professional and advanced enthusiast. It’s suitable for portrait, editorial, landscape and nature photographers looking for extreme image detail. Except for the low-pass filter cancellation feature, the Canon 5DS R is identical in design and specs to the 5DS. 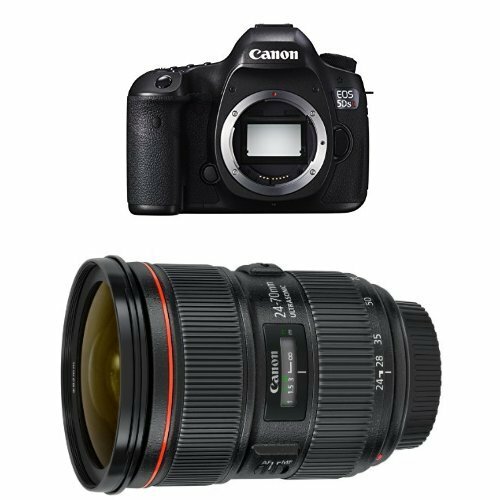 The massive 50.6-megapixel, Canon-designed, the full-frame sensor makes the 5DS and 5DS R the highest resolution full-frame DSLRs in the world. Combined with dual DIGIC 6 processors this latest full-frame camera offers a substantial increase in sheer resolution. It targets advanced amateurs and professionals who demand high image quality with a critical eye for out-of-camera sharpness. The Canon 5DS R goes after a chunk of the medium format market. The advanced Canon 5DS R is smaller and lighter than most digital medium format cameras. 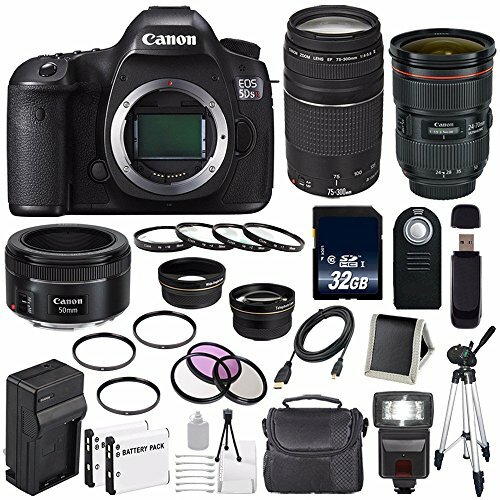 Its vast selection of lenses for the Canon EF mount gives you immense creative options. The new Canon 5DS R borrows heavily from the 7D Mark II regarding under-the-hood technological enhancements. As an addition to the dual DIGIC 6 image processor configuration, the Canon 5DS R features the newer 150,000-pixel RGB + IR metering sensor. It is a notable improvement from the iFCL 63-zone Dual-layer metering sensor used on the 5D Mark III. The new system on this advanced camera recognizes 252-zones. The viewfinder on Canon 5DS R comes with an upgrade. 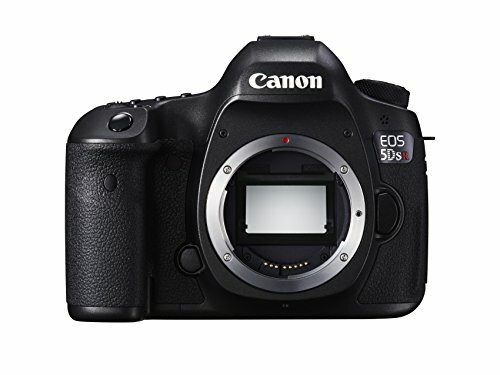 Its focusing display with the 61-point AF system remains the same as the 5D Mark III. Canon 5DS R gains AF point illumination during AI Servo AF like the 1D X. Its text display now matches that from the new 7D Mark II. Also with the new crop modes, framing guides will be shown in the viewfinder to help you with composition and framing. Given its massive 50-megapixel image files, it does not surprise that continuous burst performance is a bit low. The Canon 5DS R advanced camera shoots up to a massive five frames-per-second. Buffer depth is good at 28 frames when shooting best quality JPEGs. You will notice that it then drops to 15 frames for RAW, and 11 for RAW+JPEG. Canon 5DS R is image quality at low ISOs IS excellent. This camera thrives at base ISO. Images are packed with detail. You will be able to get avid pixel-peeper grin in delight.